There’s truly nothing quite like a vacation: Your out-of-office reply is on, your bags are packed, and you’re almost always guaranteed a heavy dose of much-needed rest, relaxation, and inspiration. Vacations are also a wonderful way to make lasting memories with your family and friends. And while the end of any vacation is always bittersweet, taking photos on your trip helps to make your memories set in stone. When we get home from a vacation, the first thing we do is flip through our camera roll… Which brings us to today’s topic. While vacations are all about living in the moment, it’s also nice to be able to bring those memories home with you when the trip is over. And yes, we’re talking about beautiful, candid photos (those selfies in front of the Eiffel Tower don’t count!). We believe that there are some extra special vacations that deserve more than selfies so that you can capture those moments and keep them forever. 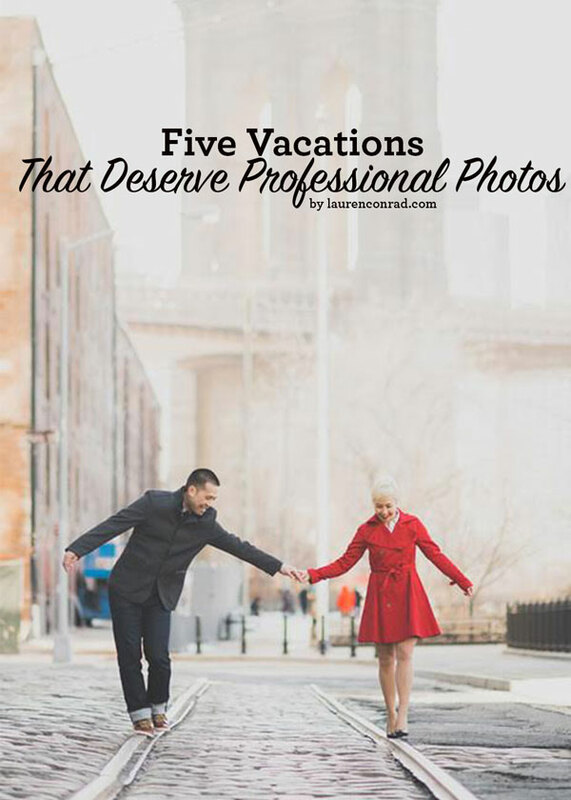 And today, we partnered with our friends at Flytographer (a new company that we have recently become obsessed with) to break down the five types of vacations that really deserve those professional photos that deserve to be framed in your home. For those of you who aren’t familiar, let’s get you up to speed on Flytographer: It’s a service that can connect you with 300 local photographers all around the world so that you can capture those memories on your vacation without being distracted by having your camera (or phone) in your hand the entire time. Think of it as meeting a local friend in a new city who’s excited to share their insider tips. 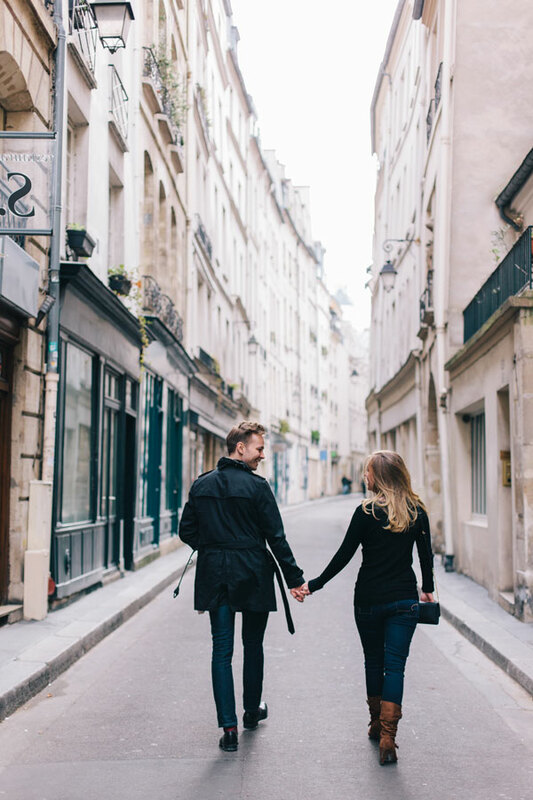 Your photographer will stroll the streets with you while discretely taking stunning photos of everyone together. And, your Flytographer isn’t just there to snap beautiful photos. They can also show you cool spots that are off-the-beaten path. Plus, all of their photographers are carefully vetted for both skill and personality, so you’re pretty much guaranteed quality snaps and a fun time hanging with a local who’s excited to share tips on their city with you. 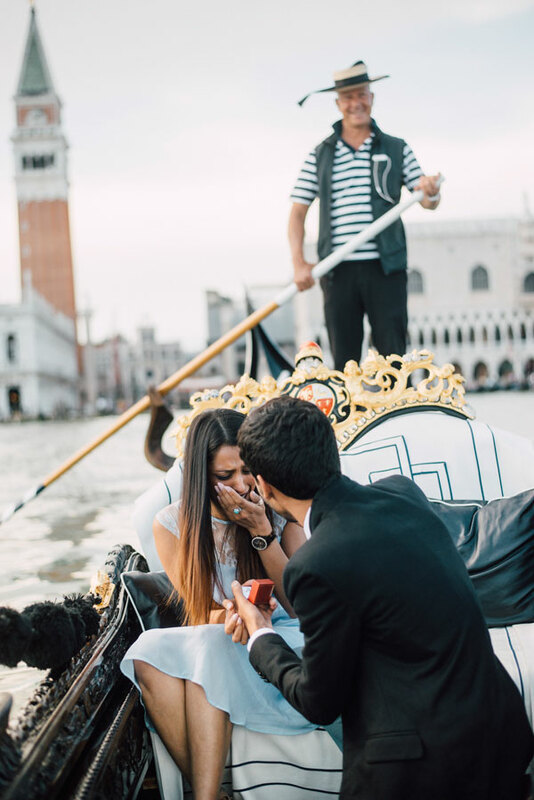 Ever wonder how couples get those perfect proposal photos? Well, it starts with a few hints and a very thoughtful soon-to-be fiancé! There’s really nothing more romantic than capturing the exact moment your partner asks you to be together forever. And while cell phone pictures and shaky videos seem like a good idea, it’s ideal to have a professional, beautiful photo from that moment. 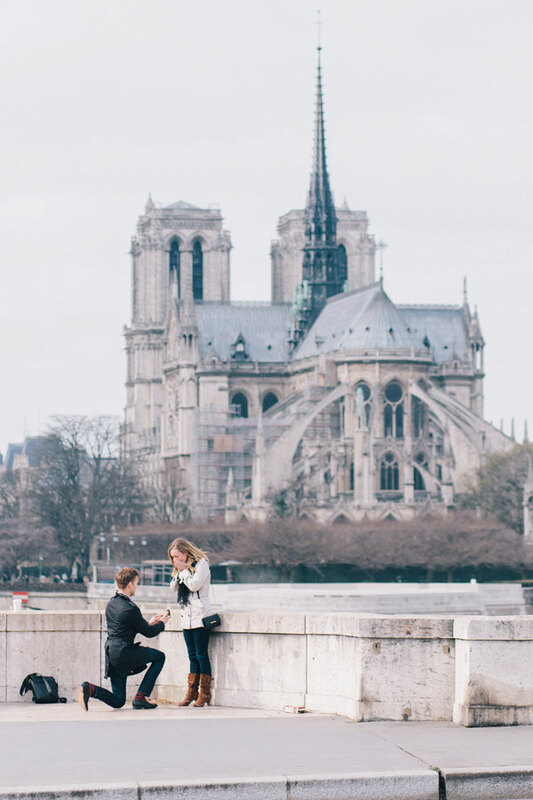 If you have a hunch that a proposal is in your future, give your boyfriend or girlfriend some subtle hints (i.e., sending them this blog post!) so that this priceless moment is captured forever. 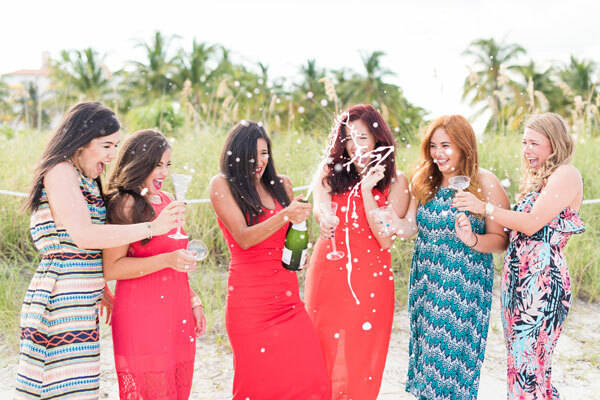 Some of our very favorite trips ever have been celebratory vacays with our best girlfriends. And while Instagramming the trip is one way to go about it, how fun would it be to have professional, candid photos of your girls’ weekend or bachelorette party? Not only will you have gorgeous pictures (and make sure everyone is in the shot) from your vacation, but you can also frame these and give them to your bridesmaids as gifts before the wedding. There’s a reason they call it the honeymoon phase… That time right after the wedding (or whenever you and your partner take your first married trip together) is a pretty special moment for a couple. And, these trips usually take place in your favorite breathtaking city of choice. 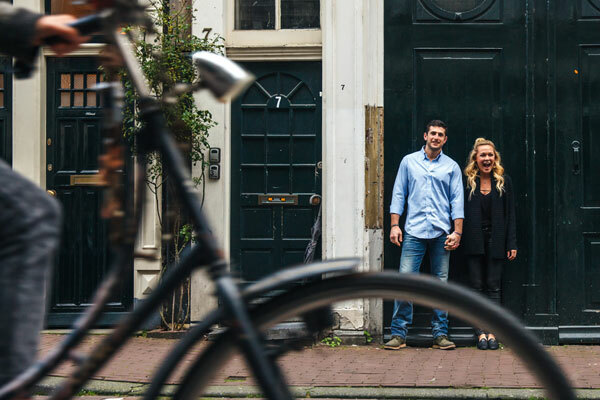 So, why not capture that just-married excitement with some picture perfect photos? There’s no reason to limit your professional photos to just the wedding… A honeymoon is just as special. It’s not everyday that you get to take an anniversary trip with the one you love. Which is why we recommend finding a professional (hint, hint: Flytographer) to capture the vacation. It’s also really nice to be able to completely unplug when you’re on vacation, especially when you’re celebrating something like an anniversary. If you spend one hour with a fun local photographer exploring areas you might not discover on your own, and capturing cute moments like the one below, then you can leave your phone at home and be in the moment the rest of your trip. Sounds like a pretty great solution to us! For all of you who have growing families, I’m sure you now realize the importance of documenting every little moment. Kids grow up so fast, and it’s priceless to have pictures captured of all the important milestones. 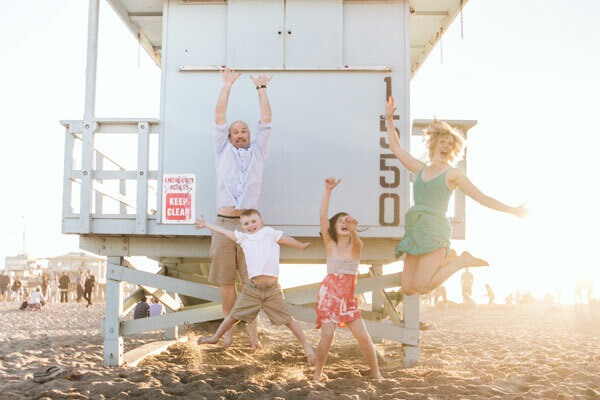 When you head out on your next family vacation, book a Flytographer to help you capture your little family’s most precious memories. 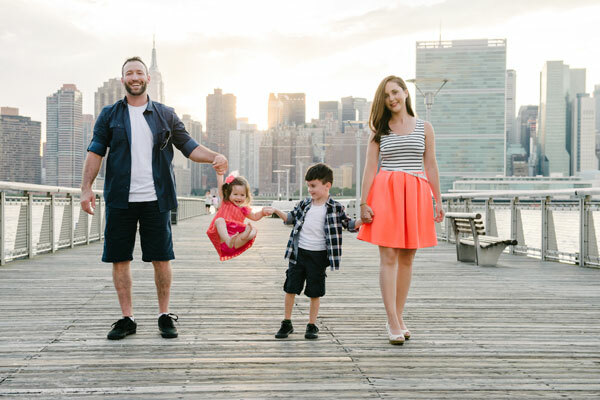 And let’s be honest, it’s not always easy to get the entire family together for photos regularly, so your vacation can be a great time to make sure you have those family photos you’ve been wanting. Instead of a shoot at your local park, or studio shots, switch it up and capture family memories with iconic city backdrops that remind you of your trip forever. Vacations are the perfect time for family photos, you are all together, relaxed and having fun! Follow. Make sure you’re following @LaurenConrad_Com and @FlytographerInsta on Instagram. Comment. Leave a comment below letting us know which vacation you’d use this shoot for. And don’t forget to leave your Instagram or Twitter handle, so we can contact you if we win. Wait. Check back next Wednesday, November 25th, when we announce the winner! Time to plan that vacation! P.S. For those of you who have a vacation coming up soon, we’ve got some good news. Flytographer is also giving all of our readers $50 off your next Flytographer session if you book by November 30th, 2016. Just use code LC2016 at checkout. You’re welcome!